Tomorrow's News Today - Atlanta: EXCLUSIVE: Spiller Park Coffee Coming to Toco Hills + More! EXCLUSIVE: Spiller Park Coffee Coming to Toco Hills + More! Premium coffee shop joining crowded market. Spiller Park Coffee, the gourmet coffee shop from "Top Chef" Hugh Acheson, is coming to the revamped Toco Hills shopping center next year. The coffee shop will occupy a 1,080 square foot space carved out of the former Shoe Center space, one of the earliest victims of increasing rents at the historic center. 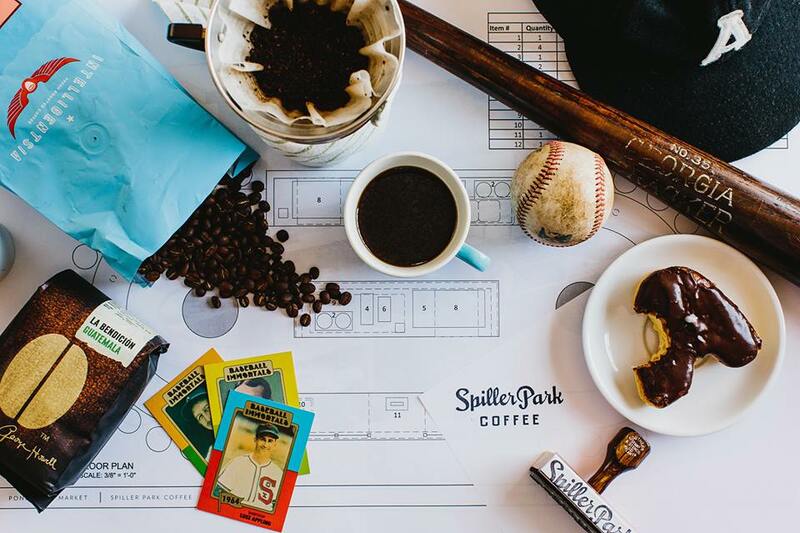 The first Spiller Park Coffee opened last October in a kiosk type set-up within the Central Food Hall at Ponce City Market on Ponce de Leon Avenue. The coffee shop gets its name from Spiller Park, (aka Spiller Field/Ponce de Leon Park) which was a baseball park home to the minor league Atlanta Crackers in the early to mid 1900s, across the street from what is today Ponce City Market. Hugh Acheson is Canadian by birth but has spent a lot of time in Atlanta and Athens. He is married to Mary Koon, a Georgia native, and currently resides with her and their two daughters in Athens. In addition to Spiller Park, Acheson owns Empire State South on Peachtree Street in Midtown. Spiller Park’s coffee menu rotates based on availability and seasonality, with no varietal on the menu for longer than three months. Most varietals offered are from Chicago's Intelligencia coffee, Phil & Sebastain of Calgary, AB Canada and George Howell of Acton, MA. The shop also features assorted doughnuts from Atlanta's Sublime Doughnuts. Spiller Park joins a crowded coffee market in and around Toco Hills that already includes Starbucks Coffee, Dunkin' Donuts, Goldberg's Bagel Co. & Deli, Bagel Palace, Atlanta Coffee Roasters and Golden Drop, near the VA. In addition, and as I earlier reported, Caribou Coffee will soon re-join now brother-brand Einstein Bros. Bagels and create a new "Coffee & Bagels" co-branded unit at North Druid Hills and LaVista Roads. Based on the current status of the space and intel from local sources, I'd expect for the Spiller Park Coffee at Toco Hills to debut sometime next spring/summer. The addition of Spiller Park Coffee marks the first new tenant to join the center since Columbia, S.C.-based Edens signed a 35-year ground lease on Toco Hills late last year. To their credit, Edens has invested in updating the infrastructure, lighting and parking in the center. At the same time, their paving and parking lot alterations have reduced the overall number of spaces, and their improvements have led to increased rents and the departure of a number of longtime tenants. Despite rumors to the contrary, both Bagel Palace & Deli and Maggie's Neighborhood Bar & Grill have both publicly stated they have no intention of leaving Toco Hills anytime soon. Shoe Center closed earlier this spring, and just yesterday I announced that Famous Pub would close before the end of the year. Petite Auberge is also leaving the center, but is relocating to/joining with the current Violette restaurant on Clairmont Road near Sam's Club. Although Edens claims to be "Devoted to Local Neighborhoods," their actions at Toco Hills have angered many longtime residents. "We’re out to reclaim and rebuild places that give our communities gathering places where people can slow down in a convenient, safe, and vibrant atmosphere." Personally, I sense that Edens may be hoping to recreate the success they have found in Charlotte's Park Road Shopping Center, at Toco Hills. Like Toco Hills, Park Road shopping center was built in 1956, and has remained a community draw, pulling from numerous surrounding neighborhoods. Given that my mother is a native Charlottean, I've visited the Queen City many times. While SouthPark is always a stop (literally walking distance from my grandparents' home), Park Road became a frequent destination as well. Park Road Shopping Center in Charlotte,N.C. Anchored by Harris Teeter, Michael's (like Office Depot at Toco Hills, in a former A&P), a six-screen Regal Cinemas, and blackhawk Hardware (the coolest hardware store around), Park Road is a high traffic, popular center with lots of variety. Aside from the anchors, Park Road is also home to a number of local and regional restaurants including Atlanta's The Flying Biscuit Cafe and Charleston, S.C. based CO, an Asian eatery. While CO might have had interest in Toco Hills, the fact that they recently signed a lease for a space in the new 675 North Highland development, makes that less likely. Like Toco Hills, Park Road is also home to a number of banks. 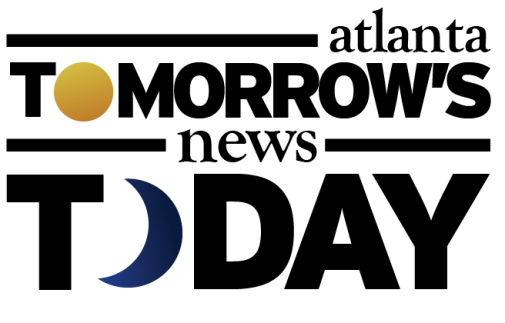 Fifth Third, First Citizens, and SunTrust all operate full service bank branches while Wells Fargo and Bank of America each have ATMs on property. The property's site plan indicates another bank may be planned with one 2,625 square foot outparcel labeled as "proposed bank." 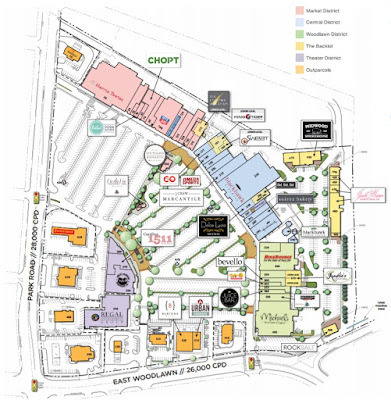 Park Road is also home to CHOPT Creative Salad Company, a company that had previously expressed interest in entering the Atlanta market and J.Crew Mercantile, essentially J.Crew Factory Outlet by another name. A franchise of I Love Juice Bar also operates a unit in Park Road. A local franchisee opened I Love Juice Bar in Toco Hills Promenade last summer, but closed it just a few short months later. Charlotte's Amelie’s French Bakery plans to open a new cafe at Park Road early next year and entered the Atlanta market in mid 2014 on the Westside. It's not unreasonable to think they could be interested in space in Toco Hills. Urban Cookhouse, a Columbia, S.C.-based quick serve restaurant, entered the Atlanta market earlier this year at Gateway in Sandy Springs and is slated to open at Park Road early next year. At the time of the Sandy Springs opening, I spoke with Will Gillespie, the restaurant's owner and president, and he indicated to me that he was definitely interested in expanding the brand elsewhere in Atlanta. 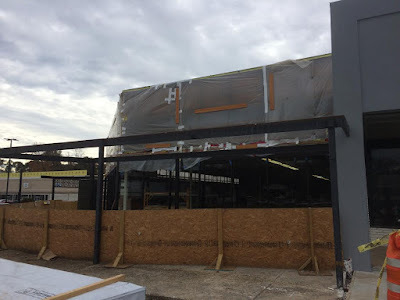 Park Road is also home to Bruegger's Bagels (co-branded with a Caribou Coffee) but it seems highly unlikely they would come to Toco given their previous struggles in the Atlanta market. Retailers Onward Reserve and bevello each operate locations in Park Road and have a local presence in metro Atlanta. Onward Reserve already has four locations in Georgia (Buckhead, Ponce City Market, Athens and Thomasville), while bevello has a single location in The Forum in Norcross following the closure of its Buckhead location last year. 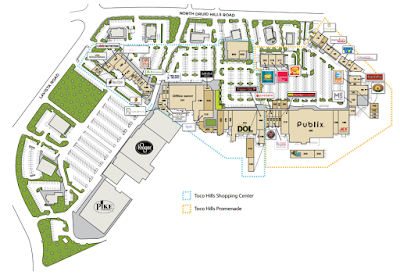 Personally I see neither store as a good fit for Toco Hills. Rooster's Wood-Fired Kitchen, part of the Charlotte based restaurant group Noble, would in my opinion be a great fit for Toco Hills. I've visited the group's location near SouthPark a number of times and had been told years ago they were looking at expanding to Atlanta. Are you excited for the addition of Spiller Park Coffee to Toco Hills?  Who would you like most to see join the tenant mix at Toco Hills? What remaining tenant would you be most devastated to see close or relocate? 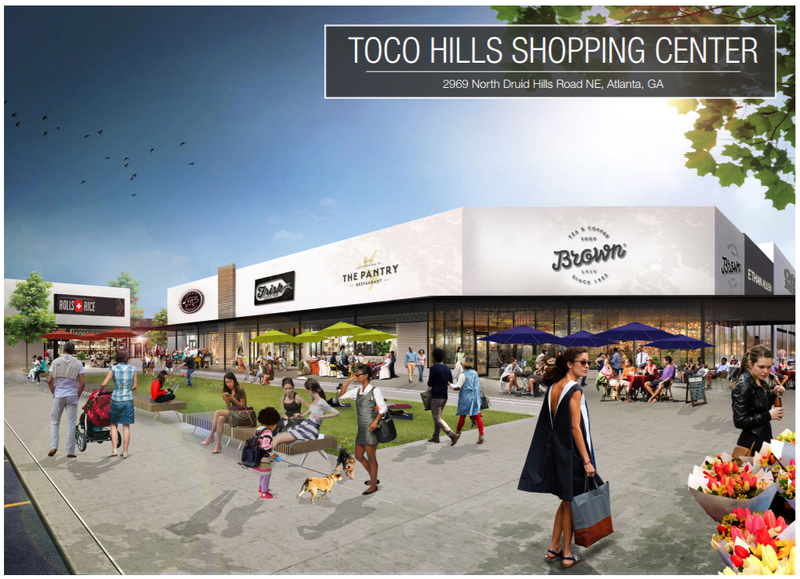 Are you a fan of what Edens has done to Toco Hills thus far? Do you think Edens is "reclaming and rebuilding" Toco Hills for the good, or are they going down a road of cookie-cutter-fication? Joining the ranks of neighbors who do NOT like the parking lot changes - UNLESS they plant hardy trees in all those islands to provide shade to cars, but I doubt that. The rendering at the link to this article is interesting ... reminiscent Lenox Square 50 years ago. Rendering 4 shows numerous other prospective tenants ... not our beloved businesses of today. Who placed the other "sample" store signs above the other spaces ... Ethan Allen instead of Nearly New (which I'm sure is only there as a placeholder till a high-paying tenant comes along). The Pantry? Rolls + Rice? Urban Fit? Basile? Ironic that they left Petite Auberge, when we know it is leaving. Why are they reducing the parking when they probably need more? If I can't park there I'm not going. I liked Toco Hills the way it was. is that gray box next to Goldberg's part of the old movie theater? Have you been back there in recent years? I wonder a) if it's accessible and b) if it still has theater seats? Also, I wonder if there are any grand plans for those upstairs spaces at Toco (the non-ADA compliant places)? I've been in Atlanta close to 50 years and I don't think I've ever been in those places. They'd make neat residences, except for the lack of secured parking. I'm sorry that they have forced so many long time tenants out by raising their rents so substantiality(I've heard rents tripling which is insane). Will this be the type of coffee shop where an ironic hat and or beard is needed to fit in ? "Despite rumors to the contrary, both Bagel Palace & Deli and Maggie's Neighborhood Bar & Grill have both publicly stated they have no intention of leaving Toco Hills anytime soon." You forgot to mention you played a major role in spreading those false rumors. Have yet to see a much needed apology.